Abstract: The assertion that Mondino da Luzzi, the 14th Century Bolognese anatomist, was the first genuine human anatomist is questioned. Mondino’s work is examined and his findings shown to be less than original. The investigations of surgeons, who conducted post mortem examinations during the 13th Century are highlighted, their contributions to anatomical science underscored, and their knowledge of human structure reexamined and evaluated. Introduction: One of the common assertions in many accounts of medical history, is that an early 14th century book written by a Bolognese academician, Mondino da Luzzi, was the first text of human anatomy. Castiglione, one of the most eminent medical historians of the twentieth century, suggests that it “may be regarded as the first anatomical text worthy of the name”. In keeping with this tradition, over thirty years ago, the eminent Vesalian scholar, CD. O’Malley, described Mondino’s Anothomia which the Bolognese professor completed in 1316, as the first modern book on anatomy. O’Malley explained this judgement by noting that Mondino’s master opus was the first work devoted exclusively to the subject, and that it contained a few observations derived from its author’s own dissection of human cadavers. If one accepts these qualifications, O’Malley’s dictum can still be defended. 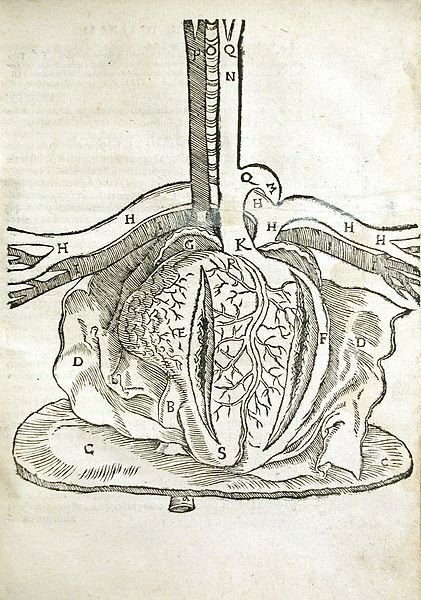 Certainly, Mondino’s methods were extremely influential in academic circles and his work was used as the definitive text for university dissections until Vesalius’ time and slightly beyond. The anatomical demonstrations and lectures that Vesalius delivered to students in Bologna in 1540, some three years before the publication of his Fabrica were organized as a commentary on Mondino’s Anothomia. But during the last quarter century, we have learned that Mondino’s work drew little from its author’s practical experience. The corpus he relied on chiefly was a body of text, the mass of material available to him from the translations of Arabic and Greek texts effected during the 11th, 12th and 13th centuries.